Edward “Kelly” Connell has been acting President of High Country Construction since 1983. In addition to managing the company, Kelly provides project controls and estimating for future projects. He has been a journeyman electrician for US Steel & Delcon Electric in Lander, as well as an equipment operator for US Steel and a driller for Justice Core Drilling in Boise, Idaho. Kelly graduated from high school in Lander in 1961 before attaining his Journeyman’s License IBEW. Since 1994, K. Chad Connell has been Vice President for High Country Construction, providing project controls and management, estimating for future projects and management of the company. Chad is a University of Wyoming graduate with a Bachelors of Science degree in Civil Engineering and has many years of maintenance and construction experience under his belt. Prior to joining High Country Construction, Chad was a staff engineer for Morrison Knudsen in Boise, Idaho. Rachelle Newman has worked for High Country Construction, Inc for over 25 years. She started with HCC as a daily book keeper and has progressed to become the Chief Financial Officer/Office Manager. Rachelle is in charge of all office related matters and oversees daily operations including payroll, accounts payable, accounts receivable, project document compliance, and in house financial statements. Phil Ostrowski brings years of experience to his job as acting Superintendent for High Country Construction. He began his career as Pipe Crew Foreman at Connell Resources, Inc. in Fort Collins, Colorado, before becoming Superintendent at C.J. Abbott, Inc. in Casper, Wyoming and then Superintendent at E.H. Oftedal & Sons in Miles City, Montana. He joined High Country Construction in 2001 and has since overseen projects including the Driggs, Idaho Landfill Project, the Uinta County Airport Project and the Sheridan Interstate 90 Project. Rich Campbell has been with High Country Construction for 15 years. Rich started out with us as an operator and has worked his way up to Superintendent. 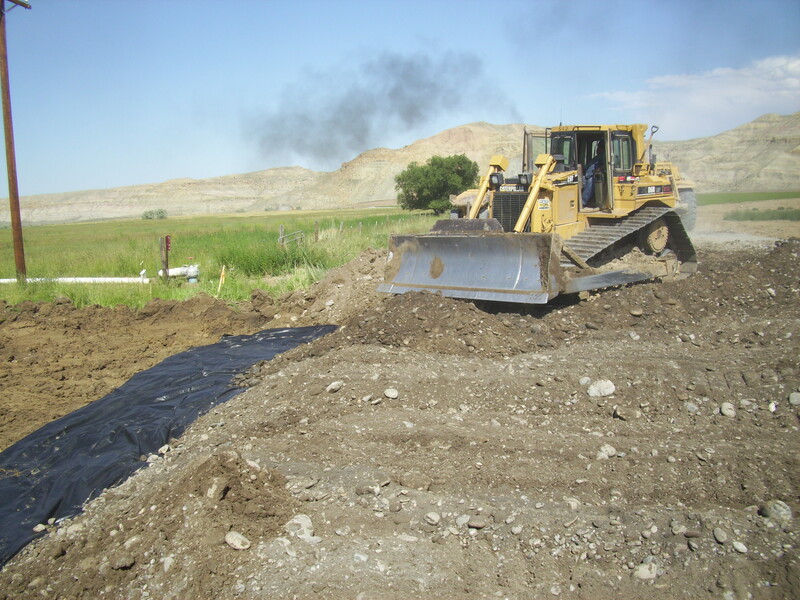 His duties have included operation of all equipment types, including finish dozer operator, grading foreman, pipe foreman, and finally superintendent. His projects include Cody-Powell Highway, a complicated irrigation structure project on the wind River Reservation, and the Bryant Section North of Riverton. High Country Construction, Inc. is an Equal Opportunity Employer and is always looking for skilled employees to join our team. If you would like to learn more about our company or apply for an opening, please feel free to contact us.